Being an actor means pretending to be somebody else and doing a hell of a good job at it. But sometimes it is the actor’s own personality that everybody is talking about, and not his or her on-screen character. Making a movie is often stressful and actors lose their temper on set every now and then, but some actors are just plain nasty to work with. Here’s the list of 15 such actors and actresses that people now think twice before saying yes to making a movie with them. If we forgot someone, feel free to mention them in the comments. The actor hasn’t become the tough guy over the years – he has always been one, right from the start. 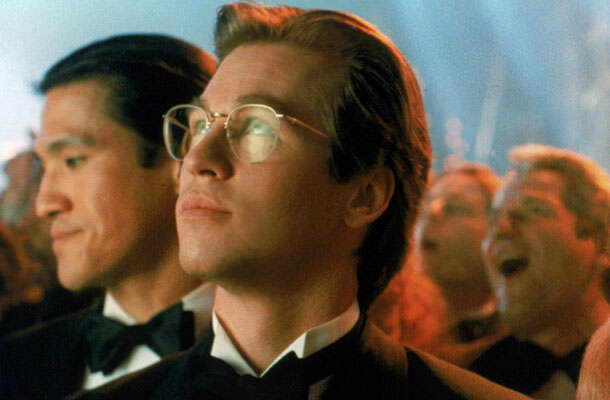 Val Kilmer reportedly stormed out the set of his first job, a hamburger commercial when he was only 12 years old. He also had the famous fight with director Joel Schumacher during the filming of “Batman Forever”, while screenwriter Kevin Jarre had only bad things to say about this Hollywood actor. And not just on set. Practically all those ex-girlfriends, wives and lovers have gone on record and said that there’s something seriously crazy about Val.